Ultimate Fighting Championship (UFC) continues to thin its active roster, as the world’s leading mixed martial arts (MMA) organization recently released eight fighters from their contracts. 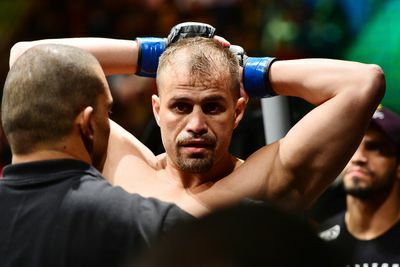 Among them is fan favorite Fabio Maldonado, according to a report from MMA Fighting. Maldonado has dropped two straight to Quinton Jackson and Corey Anderson and three of four overall. During his five-year tenure with the company, the Brazilian went 5-6 inside the Octagon. At the end of the day, his willingness to stand-and-bang and take on all comers — including going up to Heavyweight to face perennial contender Stipe Miocic — wasn’t enough to secure his spot on the roster. Another notable fighter that earned his walking papers was Chico Camus, who is also in the midst of a two-fight losing streak with his last victory coming against Brad Pickett in 2014. Kevin Souza, Ericka Almeida, Bubba Bush, Mickael Lebout, Vernon Ramos and Jumabieke Tuerxun were also cut by the promotion.